We Specialize in Medicare Insurance. We also market Individual Health, Small Group Health, Disability, Life, Annuities, Long Term Care, International Travel and Dental & Vision Insurance. Our agency is staffed by people committed to providing our clients with highly personalized service. Our objective is simple: To help minimize our clients’ exposure to risk. We accomplish this with emphasis on quality coverage, competitive premiums, and overall simplification of insurance matters. Our approach is direct: To analyze our clients’ complete insurance needs, to suggest a responsible protection plan, and recommend insurance that is a cost effective strategy designed for your individual situation. We will be honest with you if you should keep your group insurance. We are not in it for a quick buck. 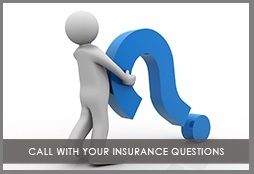 our approach of helping you fit insurance coverage to your needs and not just buy a policy. We’re proud to serve our clients and their referrals. © Copyright 2019 Specializing in Medicare Insurance. All rights reserved.